Naga Babu's Daughter Niharika Konidela debut film Oka Manasu has wrapped up the shoot and currently progressing dubbing works towards the film. 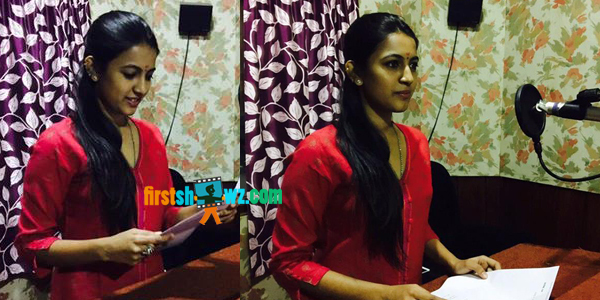 The actress has also started her dubbing part in the film and shared the snap in her social platform page. Oka Manasu film has Naga Shourya in lead role and the movie directed by Rama Raju who earlier directed Mallela Theeram movie. Madhura Sreedhar is producing this film under Madhura Entertainments in association with TV9 Channel. This heart touching love story is scheduled for May release and the audio launch is slated for April release. Sunil Kashyap is providing tunes.